I will never look at a Candy Cane the same ever again. Before I read The Legend of the Candy Cane I always just looked at them as a piece of candy. But not any more. Lori Walburg did a wonderful job bring the story to life with words. The illustrations by Richard Cowdrey are beautiful. The Legend of the Candy Cane open with a stranger arriving in a small prairie town. He finds an abandoned building and starts renovating it. No one knows what’s he’s doing but they sure are curious!And Lucy is the most curious of all. One day young Lucy decides to knock on the door and offer her help. She just cannot wait to see what is inside. And that’s when she meets Mr. Sonneman. He agreed to let Lucy help and invites her in. Upon entering she sees lots and lots of crates and barrels. She begins to wonder if she made a mistake. But she starts in on the first crate. She unwraps various sizes of glass jars and is puzzled. What is he going to do with them? Then Mr. Sonneman asks her to fill them with items from the barrels. The first thing she unpacks is her favorite candy. Gumdrops! Oh Lucy is thrilled! There are no candy shops in town. She quickly unwraps the rest of the candy and fills the containers. Then her last container contains a candy she has never seen before. A candy cane. Mr. Sonneman tells Lucy the story of the Candy Cane. I’m not going to share it because that would ruin the book! But according to Mr. Sonneman it has to do with Jesus. 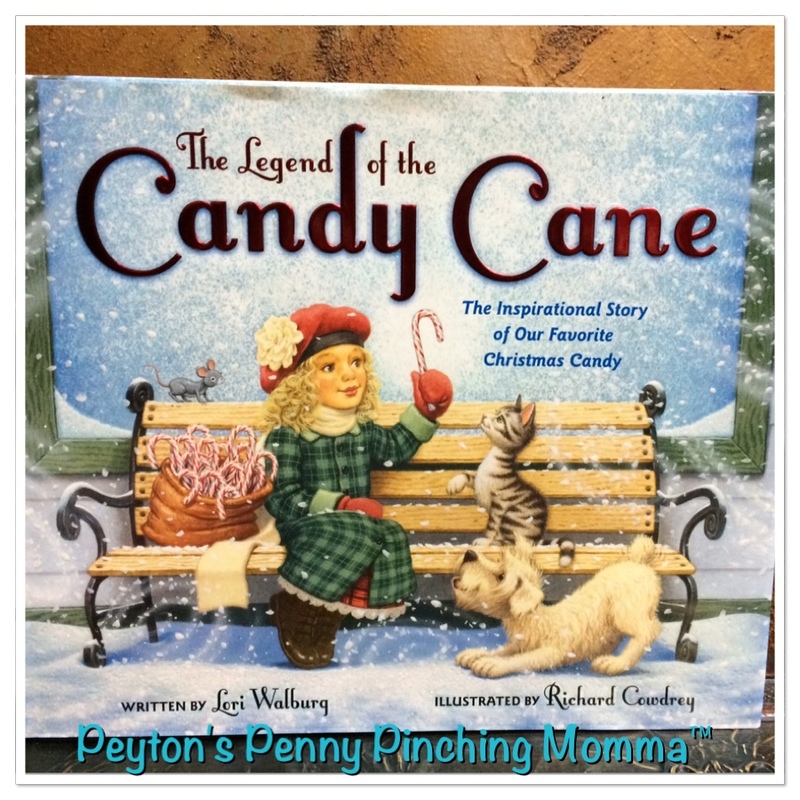 The Legend of the Candy Cane is an inspirational story with the Candy Cane at the center. Mr. Sonneman comes to a small town and by opening his shop, sharing the story of the candy cane with Lucy and others he brings the small town together on Christmas Eve. In the back of the book there is also the history of the candy cane. I found The Legend of the Candy Cane and the history to both be informative. I though the story was inspirational and perfect for the holidays. This would be a wonderful book for Sunday schools or families that want to add a little bit of Jesus’s story into their holidays. I will warn parents to read the story first without the children. There was 1 page that was a little much for my daughter. But she’s only 5 so her bible stories are pretty tamed down. I just skip over the page for now and she hasn’t noticed. But only you will know if your child can handle it. You can purchase your own copy of The Legend of the Candy Cane on Amazon.